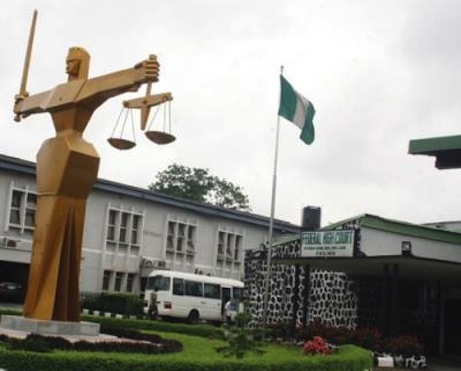 A 28-year old fashion designer, Chizoba Nwakuro, who allegedly slapped his landlady over unsettled house rent, was on Monday hauled up before an Ikeja Magistrates’ Court. Nwakuro, a resident of Odusola Street, Aboru, Ipaja, a Lagos suburb, is being tried for breach of peace and assault. According to the Prosecutor George Nwosu, the accused committed the offences on April 4 at his apartment. He said the accused assaulted his landlady, Mrs Destiny Dennis, by slapping her several times. The offences contravened Sections 166 and 170 of the Criminal Law of Lagos State, 2015. Section 166 provides three months or N45, 000 fine or both, while Section 170 prescribes three years jail term for breach of peace. The accused pleaded innocence of the offences and was granted bail in the sum of N10,000 with two sureties in like sum. The Magistrate, Mrs O.I. Raji, adjourned the case until May 2 for mention.